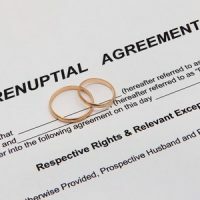 A prenuptial agreement, sometimes known as a premarital agreement or prenup, is an agreement which details who owns what in the relationship, and also sets out how the money, property and assets will be divided if the marriage ends. This is a formal agreement, made in writing and drawn up by a solicitor to comply with English and Welsh law. If you are planning on getting married and you or your partner’s family have an asset such as a business or land that they want to pass on, a prenuptial agreement can help protect it. 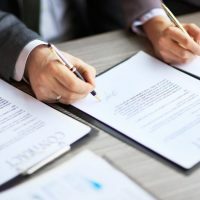 Prenuptial agreements can also be important in second marriages, or in marriages where one or both parties have brought wealth to the marriage. When making a pre- nup one needs to understand that although they are not legally binding they are recognised by the courts and have heavy evidential weight. For this reason there is a check list that needs to followed, that the courts will use as a guide, when analysing prenuptial agreements. Therefore, it is best to get one done by an expert. 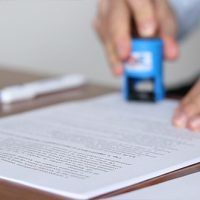 Furthermore, without obtaining legal assistance, you could potentially be putting your assets and your earnings at risk, in the event of a divorce or dissolution. A post nuptial agreement (also known as a post-nup) is entered into by the parties after marriage, whilst the couple are still together, and allows them to plan how the assets are to be divided if the marriage was to breakdown or if one partner was to die. 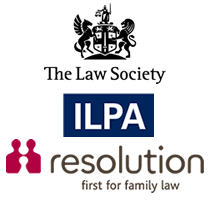 Post-nuptial agreements are seen as being beneficial as they are used to protect ones assets, but can also be used to ensure that any children from a marriage or previous relationship have their inheritance protected.